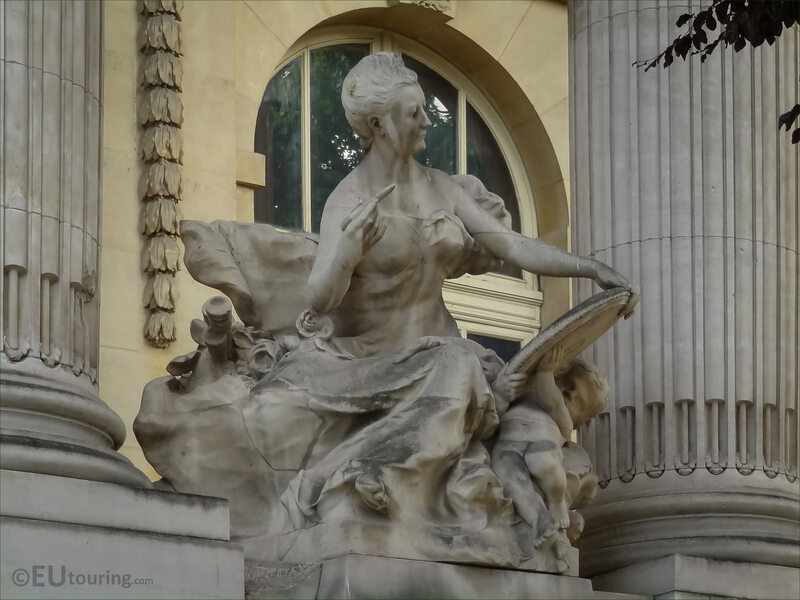 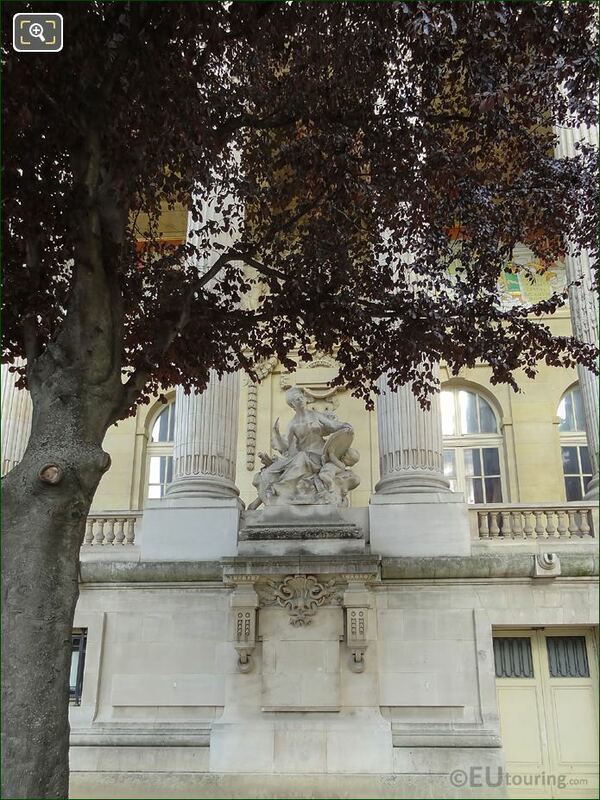 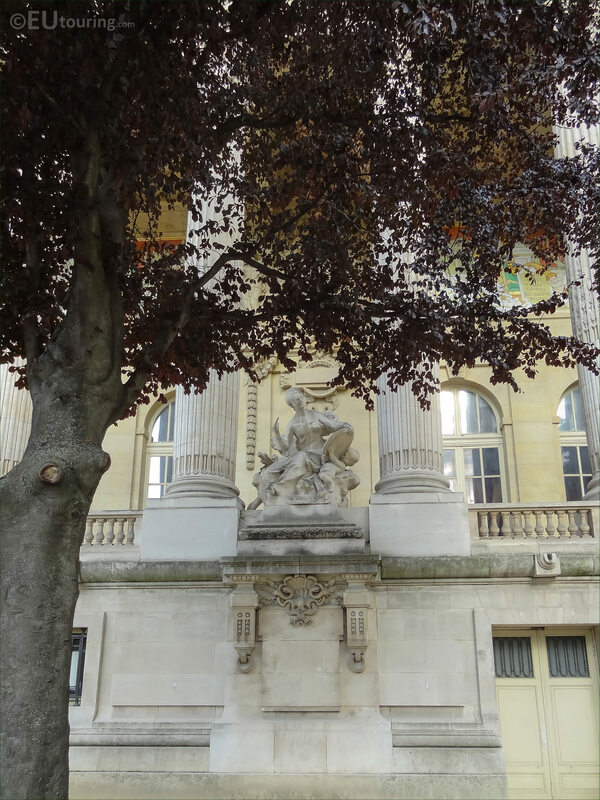 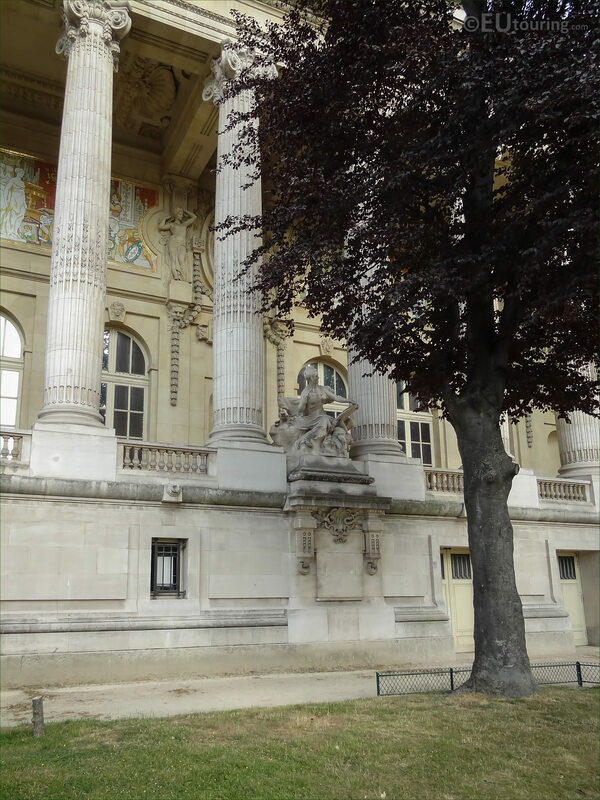 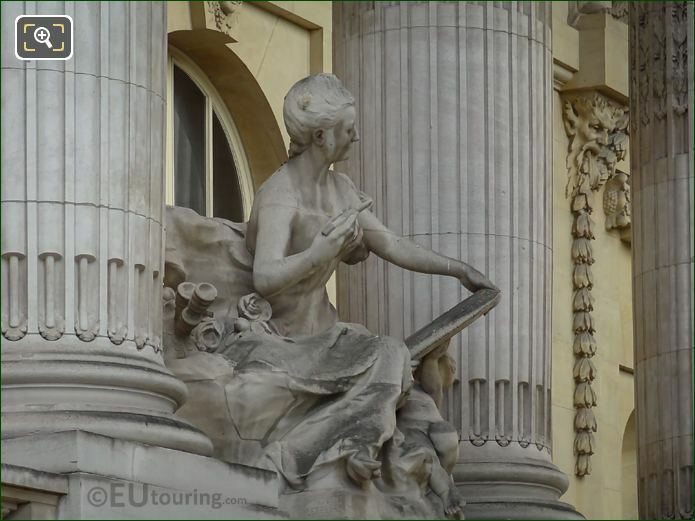 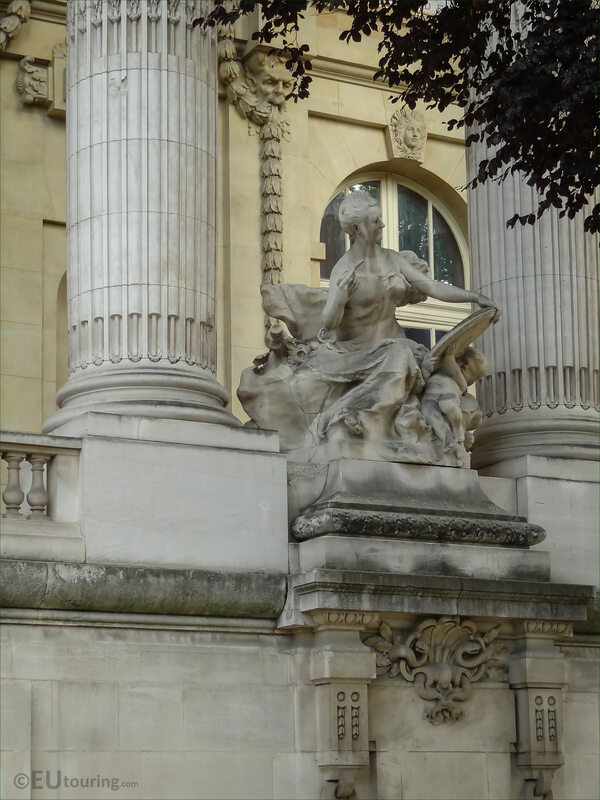 We were in the 8th Arrondissement of Paris at the Grand Palais when we took these high definition photos showing a statue called L'Art du XVIIIe Siecle, which was sculpted by Hippolyte Lefebvre. 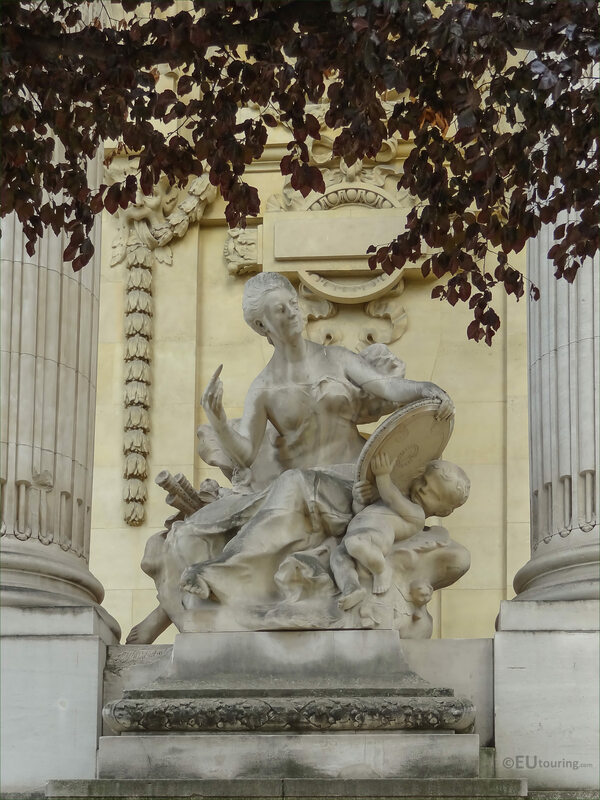 This first HD photo shows the statue of L'Art du XVIIIe Siecle, which in English translates to The Art of the Eighteenth Century, and this is one of four allegorical statues on the Grand Palais that represent French art through the ages. 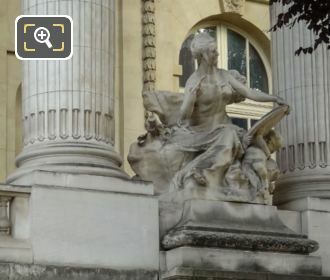 Now the Grand Palais is one of the famous tourist attractions in Paris, and this was originally constructed for the 1900 World Fair at the same time as the Petit Palais and the Pont Alexandre were also constructed, and there were numerous different artists commissioned to produce statues, sculptures, friezes, relief and mosaics for this historical building. 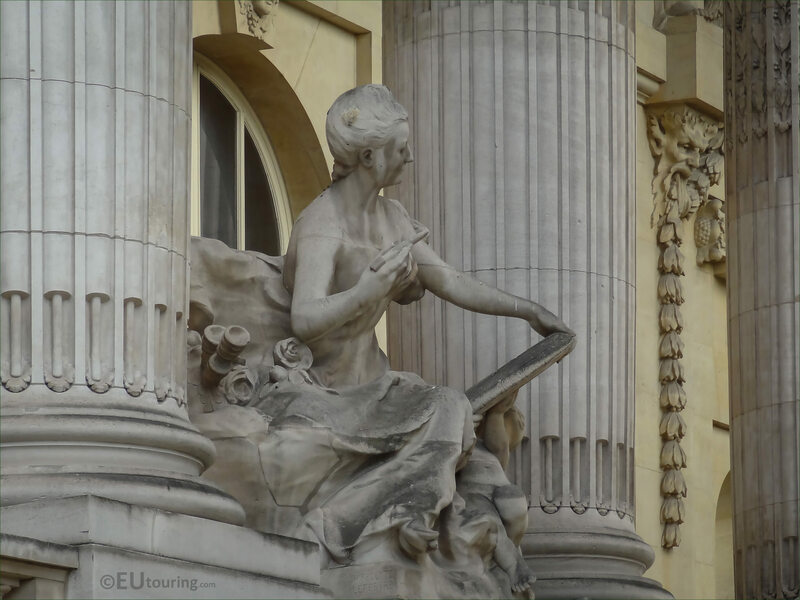 In fact, there were well over fifty different artists who were commissioned to produce works for this building, which has now been classified as an historical monument, and since the year 2000, a major restoration project has been in place to bring all the different features, including the statues, back to their original condition. 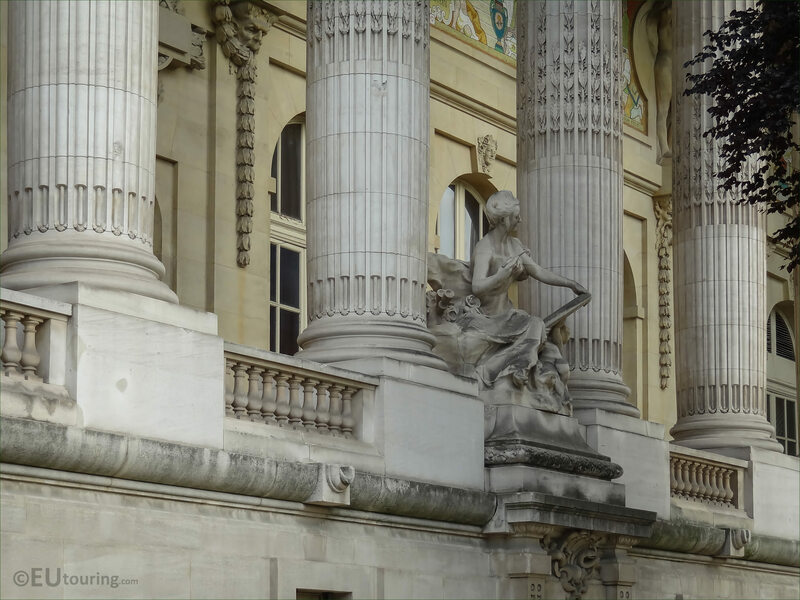 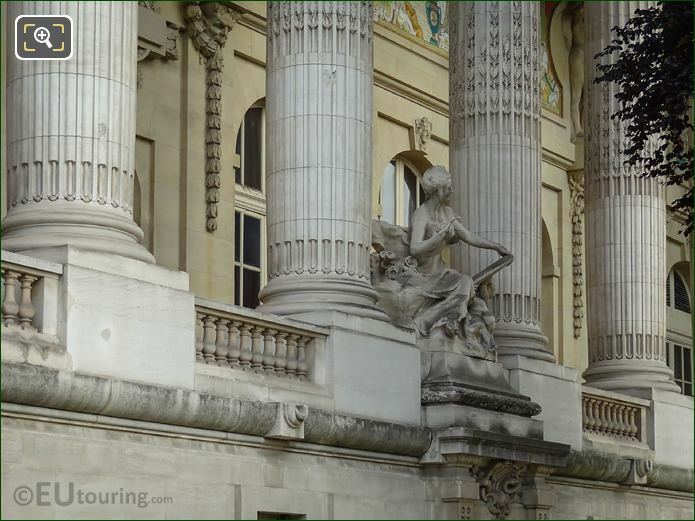 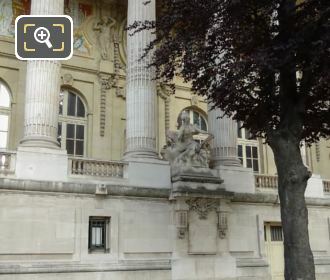 And as you can see in this photograph, the Art of the Eighteenth Century statue is located on an impressive colonnade on the main facade of the Grand Palais, which is to the right hand side of the entrance in between the columns, but if you look closely you will see there is another allegorical statue depicting French art further along. 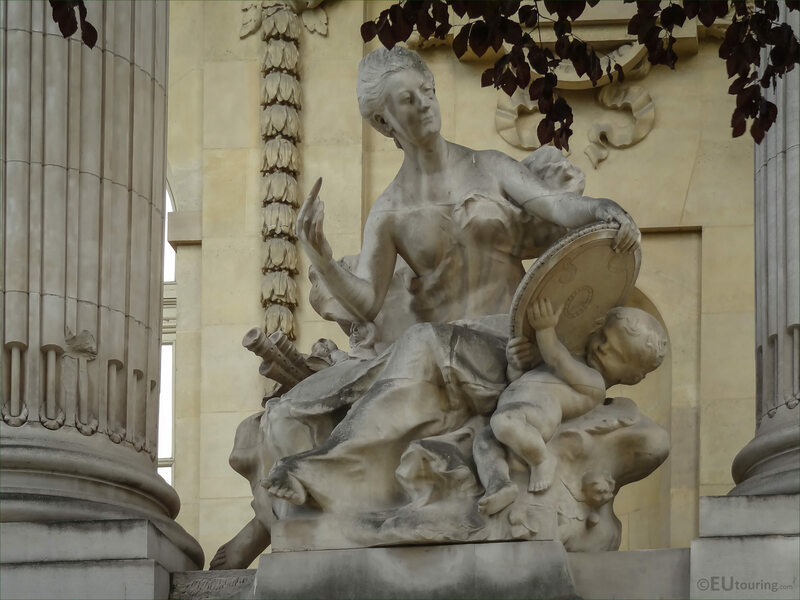 So this next high definition photo shows a close up of L'Art du XVIIIe Siecle that has been restored to its former glory, and sculpted by Hippolyte Lefebvre this was put in place along with the other allegories in time for the official inauguration of the Grand Palais in 1900. 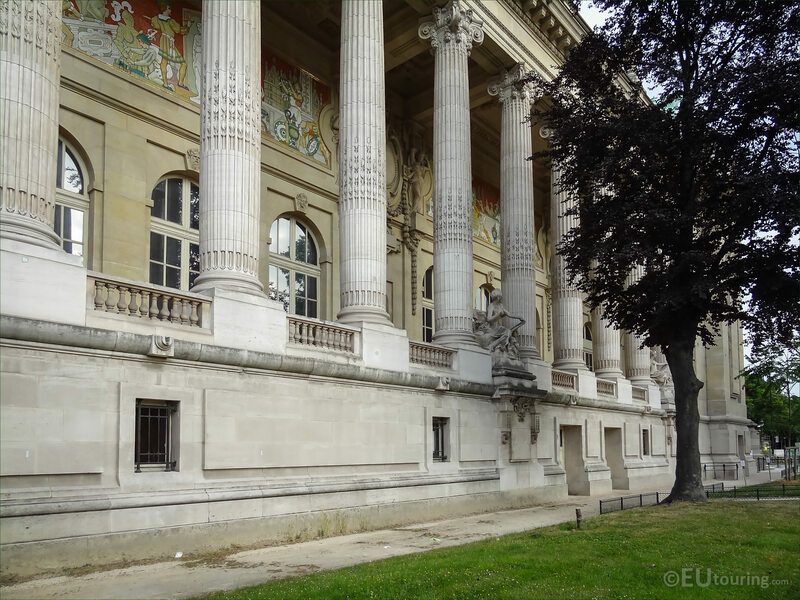 Now Hippolyte Lefebvre was born in Lille within the Nord-Pas-de-Calais region of France in 1863, and initially studying at the Ecole des Beaux Arts in Lille, he won numerous prizes and was awarded a scholarship to study at the Ecole des Beaux Arts in Paris, moving there in 1882. 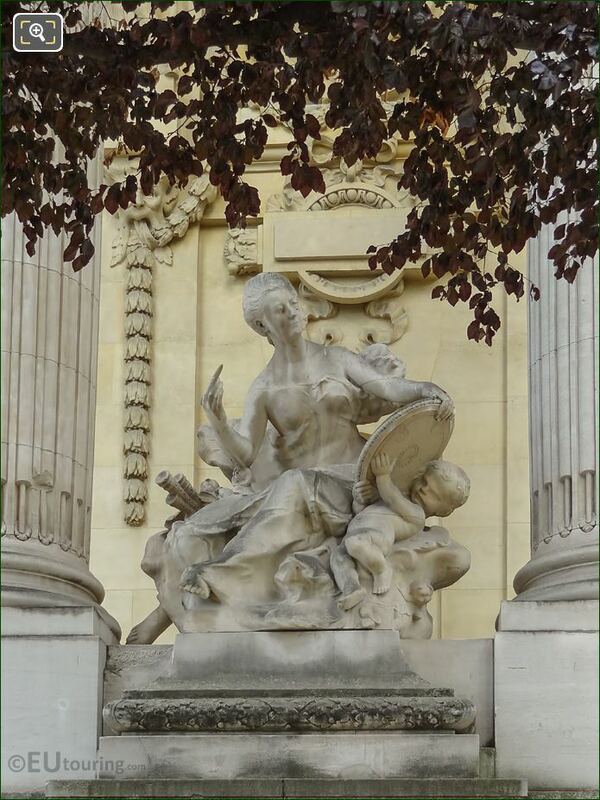 However, even though he studied to become a French sculptor, winning the Prix de Rome, he was also a very well recognised medallist often being called upon to produce commemorative medals, and some of these can be found within the Musee d'Orsay. 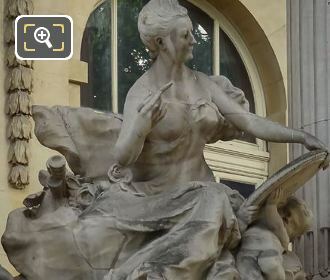 But upon his return from the Villa Medici in Rome, Hippolyte Lefebvre pursued his career as a sculptor producing this particular statue of The Art of the Eighteenth Century, yet his most famous works are two equestrian bronze statues of Joan of Arc and Saint Louis that can be found on the Sacre Coeur Basilica in Paris. Excelling at numerous different styles of statues including allegories like this one of L'Art du XVIIIe Siecle, Hippolyte Lefebvre also produced monuments and war memorials, with one of these now being within another tourist attraction in Paris called the Palais du Luxembourg, plus he was awarded the title of Officer of the Legion of Honour in 1925, ten years prior to passing away at the age of 72.